ABB Ability Symphony Plus is a distributed control system designed to maximize plant efficiency and reliability through automation, integration, and optimization of the entire plant. For more than 35 years, ABB has evolved the Symphony family, with each new generation enhancing its predecessors and backwardly compatible with them - all in accordance with our long-held policy of evolution without obsolescence. 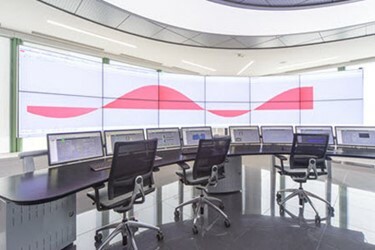 With Symphony Plus, ABB is connecting the long standing spirit of control technology innovation to the digital revolution, representing its roots to the future. Symphony Plus is designed to meet the requirements of plant owners in all geographic markets and in all types of power generation and water treatment. In all, there are more than 6,800 Symphony DCS installations in operation all over the world and more than 4,800 of which are in power and water applications. Automation Sentinel remains the key program for life cycle system support as customers continue to upgrade and evolve their installed systems to our latest generation offerings. For power generation and water, Automation Sentinel is available via ABB Power Generation Care and ABB Water Care, offering a complete service that raises the performance of the plant’s automation and electrical assets, its operations and maintenance staff, and the production process during the life cycle of the facility.